jojoebi designs: mouth watering pizza.. I think I have mentioned before that we often have homemade pizza as a weekend meal. I make the dough in my bread machine and it takes very little time to throw on some topping and pop it in the oven. 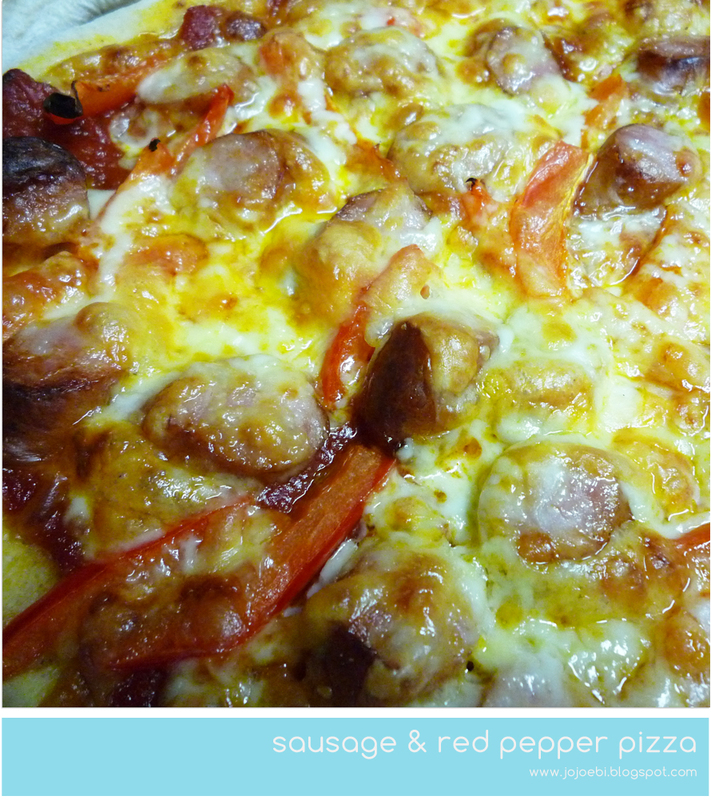 I had started to get a bit bored of our usual topping so we tried a couple of new ones this week, oh my! 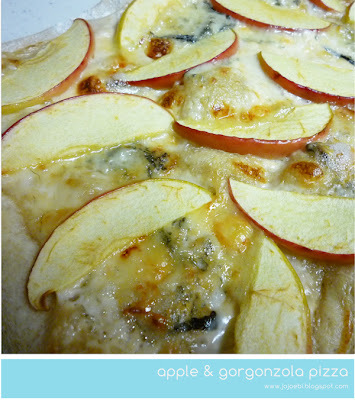 First up, apple and Gorgonzola, I used jazz apples which are from New Zealand, Japanese apple tens to be very soft and we would have ended up with a soggy mess but these with the bite that Gorgonzola gives, oh yes! Then next was shaved asparagus, I saw this on pinterest but of course did it my way! 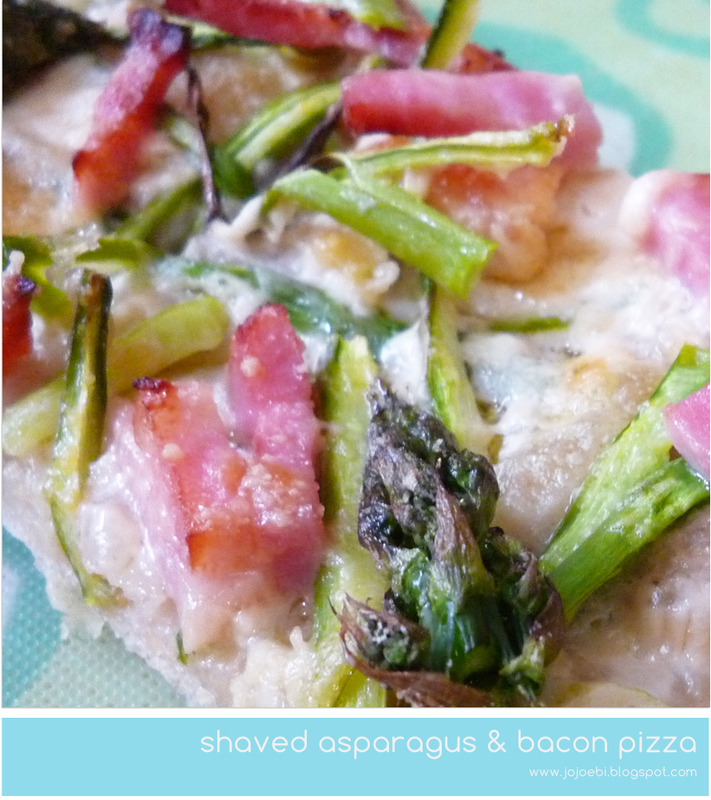 I have a gadget for shredding leek so I used that to shred the asparagus, added some bacon. Parmesan cheese and a sprinkle of olive oil, it was really good but not as good as the apple and Gorgonzola. The last one was a back up, just in case no one liked the other two, sausage & red pepper with a healthy (?) helping of mozzarella cheese. Hope this post has made you hungry! thank you for coming out of lurkdom! Thanks for the heads up. I LOVE those Jazz apples so rushed out to Yaoko to buy some today. YUM. What kind of leek tool do you have? I use a fork. LOL!